XLDent Dental Software | Smart Technology. Efficient Solutions. Posted December 31, 2018 by Natalie L.
Committing to new goals is part of the yearly tradition of New Year’s resolutions, and just as we all spend time deliberating which ideas can make the most positive changes, our practices deserve the same consideration. Setting up for a brand-new year means looking back and digging into the details to decipher what the trends tell you about your successes and where you missed the mark. Start by taking a look at your monthly production and collection totals, all the way back to the beginning of the year. What would you like to change about those numbers? What is the timeline you have in mind? Which team members can help achieve the changes necessary to work toward these goals? And of course, what limitations might be foreseeable once the practice sets off in this new direction? Is your office regularly tracking treatment acceptance rates? Does your team need to fine tune their presentation skills when speaking with patients? 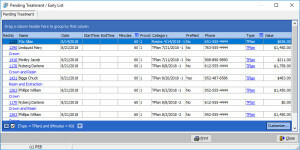 In XLDent, reports showing the number of large cases that were entirely completed are available at the click of a button. Hygiene recall, that daunting list no one likes to work on, is a significant factor in keeping a practice busy from week to week and month to month. Examining the delinquent recall closely, including the number of patients pre-appointing for their next visit, points to overall patient satisfaction and how well the clinical staff communicates. Morning huddles can be facilitated with the KPI Dashboard giving a snapshot of the health of your practice. Since this dashboard automatically updates in real-time, there is no need for one person to put together an agenda and print out a lot of reports for review and discussion. Thinking about the coming new year is a good time to review the computer technology you already have in place. How old is the hardware in the office? Is your software meeting all your needs? Perhaps there are updates to both that need to be implemented to maintain system security. Is your practice planning to add another location this year? XLDent can help delve into your questions, sharing best practices that save time, while increasing production and collections. There are always updates and features that your staff could be using and with the help of onsite or web training, everyone in the office can get on the same page and make daily tasks simpler and more accurate. Training is time well spent and will give your clinical and administrative team the traction they need for a good start. All staff members, including your newest ones this year, will benefit from the extensive online library of webinars XLDent offers. These are available to all practices as part of the XLDent Software Assurance Plan. It’s always an exciting time as we say goodbye to one year and look forward to the next. Start your practice off with a few specific goals and you’ll set the pace for a prosperous 2019! Happy New Year! Posted October 8, 2018 by Angela S.
1. Review your treatment plans! Now is a great time to go through treatment plans that were created this year and get them scheduled. Your patients may have simply forgotten about them. A quick call, or email, reminding them to schedule that treatment may be just what they need. Don’t let that revenue, and top-notch customer care, fall through the cracks. 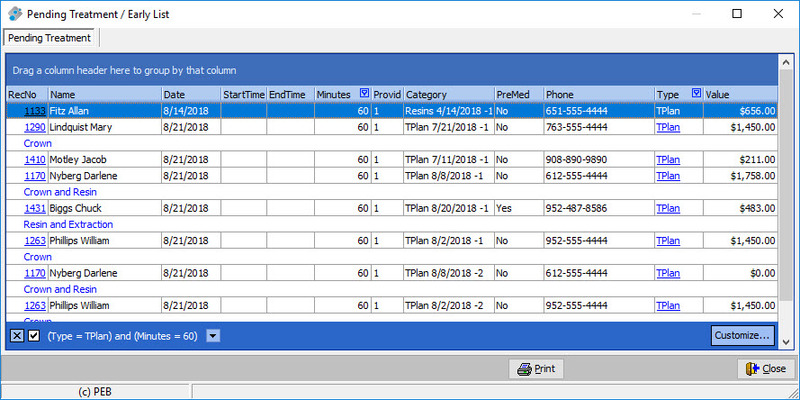 XLDent makes it easy to see all your treatment plans within the software and easily drag-and-drop planned treatments right into the appointment book as they schedule. 2. 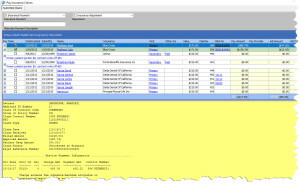 Utilize the XLDent data and KPI Dashboard. There are several ways for you to understand your practice even better. While it may seem overwhelming to review reports when the schedule is full, slower periods are a great time to analyze key metrics which can assist in improving your practice’s numbers. You can determine anything from how much new patients spend on average, types of services being performed, and who has outstanding balances, in order to boost your business. And our KPI Dashboard service takes those reports one step further! 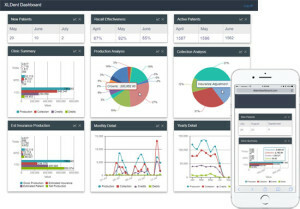 With a real-time view of Key Performance Indicators, the KPI Dashboard can be accessed from any computer, smartphone, or tablet with internet access to give you an overall or detailed look at your practice health. 3. Training, Training, Training! Take this time to boost your skills and take advantage of the plethora of XLDent software webinars. From appointment scheduler, to patient communication, core business systems and clinical charting, webinars can be as short as just a few minutes to longer, more in-depth ones. There are topics, tips, and features for everyone in the practice! The more your staff knows, the better your practice will run overall. We are also here to help. If you have area’s in your workflow that need a little TLC, our expertise is practice management. Contact us for additional training, which can be in your office or on-line. We understand that every business will experience slow times and the team at XLDent is here to assist. If you want to review any of the topics covered above, don’t hesitate to call our support team to get additional information. Don’t let the fall season get you down. Instead, take charge and get those items taken care of that will benefit your practice in the long run. 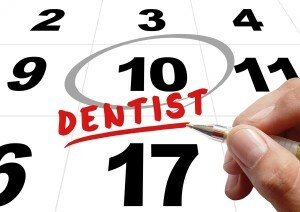 Posted September 16, 2018 by Angela S.
Managing a dental office can be stressful and time consuming! What if there were 3 easy ways you could lower your daily stress, and also increase productivity, while saving you time? By simply automating a few daily tasks, you’ll give yourself some breathing room and see positive results for your practice. How much time during the day are you spending processing insurance payments: opening, reviewing, entering information, filing, and depositing? Electronic Remittance Advice (ERA) is a quick and easy way to process your EOBs electronically. Claims submitted electronically are processed and adjudicated. Instead of sending you a paper EOB, an electronic remittance is sent to your office. Once received, it comes directly into your XLDent software and links to the associated claim automatically. 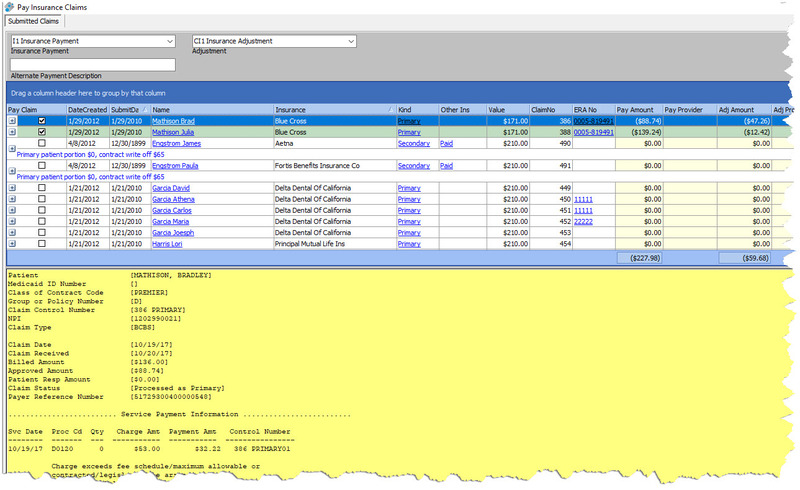 Payment and adjustment (for contracted plans) values auto-populate from the ERA. Payments are typically sent electronically, in the form of an EFT (Electronic Funds Transfer), saving you the work of opening checks, preparing the deposit, and a trip to the bank. A huge benefit is ERAs are stored on each patient record so looking up a past remittance is just a click away. All of this affords you cash flow increases, greater accuracy and speed, and quick, easy access. This simple solution will easily save you hours each week freeing you up to focus your time on other responsibilities, such as acquiring new patients. Just think of how many hours you could save each week if you had something that would do the confirming and reminders for upcoming appointments. Text messaging is the MOST used data service in the world, so why not take advantage of XLDent’s automated messaging service. People greatly value their time and taking that time to answer a phone call, or calling you back, may not be high on their priority list. By offering patient’s a convenient way to respond, via email or text message, shows that you value their time while also saving you time along the way. It’s very likely you’ll see a decrease in cancellations and no shows too! Open spots in the schedule are one of the most frustrating parts of the day. After a plan for treatment is recommended, a patient might easily get busy and forget to schedule it. You can quickly see all treatment plans laid out by the Doctor in XLDent’s Pending and Early List. This list allows you to view the patient, value, length of treatment, and date the treatment plan was presented, giving you all the information, you need to easily fill those open spots. Plus, you’re providing your patients great service knowing you care for their well-being. Have a one-hour spot to fill, or a specific type of treatment that would work best? Filters allow you to see just that. Simply drag the planned treatment off the list into the appointment column to schedule it! We understand your day is filled with a laundry list of things to do, and that list never seems to shrink. These are three easy and affordable ways that XLDent helps you focus your time so you are able to answer a new patients’ phone call, attend to the patient in front of you, budget office expenses, manage emails, handle payroll, and the many other duties you take care of on a daily basis. Life gets really busy, and it’s easy to forget about taking care of ourselves. Patients don’t always schedule a next hygiene appointment, and in the daily whirlwind that drives our productivity for the day, we overlook this. Even more importantly than this huge lost revenue source is the fact that patient health and preventive care is declining. Establishing an effective recall system that includes current patients, as well as focusing on past due ones, is important. Specifically, reach out to patients who have been dormant for several years. You’ll be surprised at how many are eager to get their oral health back on track. What does your staff say when calling a past due patient? A personal call goes a long way, and of course, we don’t want to shame anyone for letting preventive visits lapse. It helps to use phrases like we’re concerned for your oral health and we look forward to seeing you soon. Allow team members at least an hour at a time to sit down, review patient accounts, and make phone calls. Are your patients so busy with long work hours they can’t make it in before 6 pm? You could consider offering a special extended day (or two) when you keep the office open 1-2 hours longer for hygiene patients only. Teamwork allows for a rotation of office staff to alter their hours once per week to accommodate an evening. 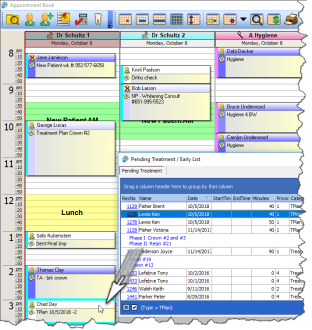 This option for busy patients is one more way to get the appointment set. Is the staff feeling incentivized to bring in those lapsed patients? Think about an incentive or treat such as bringing in bagels and coffee at the end of the month if your recall visit numbers reach a new high. Pre-appoint every hygiene patient who comes in, or at least ask. This is the first step toward improving your retention rate. Soon, patients will come to expect this at their hygiene visits and your recall rate will show it. Encourage them to get the best selection of date and time and schedule it now to get one more thing off the to-do list. Have you considered making the switch to an automated recall system? Once set up, it can manage how you are reaching out to patients with texts, emails, or postcard reminders about unscheduled visits. This is a great way to save staff time, increase response rate, and connect with patients who have previously been difficult to reach. Automated systems like Lighthouse 360 are designed to manage your current recall and reminders, but also focus on reactivation outreach. Taking a look at your own recall program and setting aside time each month to focus on overdue patient’s is sure to be successful!